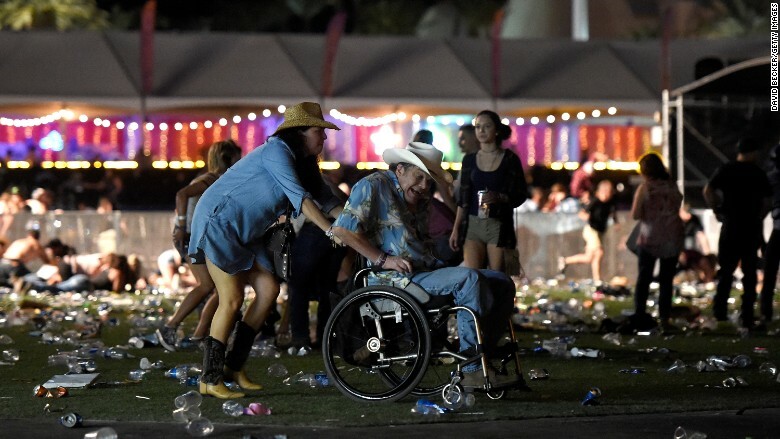 Country music star Jason Aldean was on stage when a gunman attacked the Route 91 Harvest Festival in Las Vegas, Nevada late Sunday night. 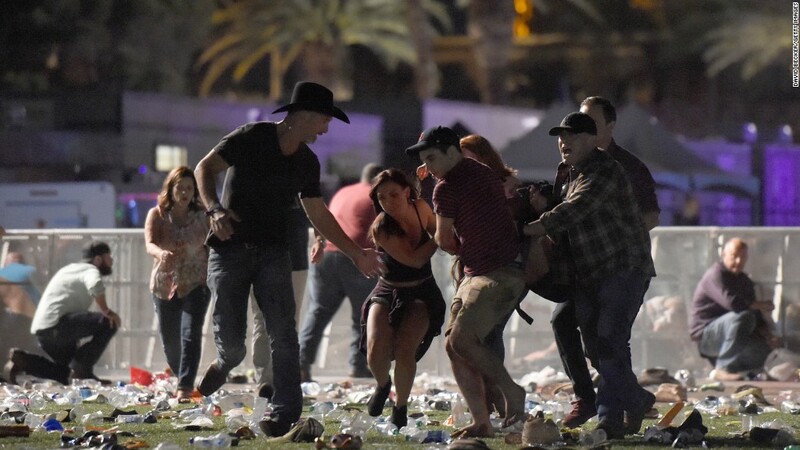 At least 50 concertgoers were killed and more than 200 were injured, according to local authorities. Aldean, who was the headliner on the final night of the festival, was able to take shelter. A representative for Aldean confirmed that "he, his band and crew are all unharmed." The country music community expressed shock and disbelief at the shooting. Jake Owen, who performed right before Aldean, tweeted that he witnessed "the most unimaginable event." "Gun shots were ringing off of the stage rigging and road cases" by the stage, Owen wrote. "No one knew where to go..thank you LVPD and responders for keeping us safe." Brad Paisley, who performed at the festival last year, tweeted: "Praying for everyone at #HarvestFestival. There are no words right now that suffice." Martina McBride, who was also there last year, wrote that she was watching the news coverage of the shooting early Monday morning and "praying for everyone's safety." A few hours after the attack, Aldean posted a "Pray for Las Vegas" message on Instagram. "Tonight has been beyond horrific," he wrote. "It hurts my heart that this would happen to anyone who was just coming out to enjoy what should have been a fun night." Aldean's wife Brittany, who was also at the festival, posted a similar message calling for prayers. "We are safe... our angels were definitely watching over us tonight," she wrote. "No words for what happened... Just horrific. Praying for everyone." The Route 91 Harvest Festival is hosted by the events company LiveNation. It has been held each year since 2014. The festival had multiple stages at Las Vegas Village, an open-air setting that is diagonally across the street from the Mandalay Bay hotel complex. The shooter reportedly fired from a high floor in the hotel. Singer Kane Brown, who performed at the festival earlier in the day, wrote on Twitter immediately after the shooting, "This world is sick." Aldean's performance at the festival came toward the end of a months-long tour. His next scheduled tour date is Friday in Los Angeles. Billboard magazine describes Aldean as a "genuine country superstar." Earlier this year he was named entertainer of the year, for the second year in a row, at the Academy of Country Music Awards. The Country Music Hall of Fame and Museum in Nashville released a statement on the shooting Monday. "Our hearts are broken and go out to all involved in the tragedy Sunday night in Las Vegas," the statement read. "At its core, country music is about community and love, and we stand with the victims and their families."